Check out this great tool that I have used for close to 10 years. 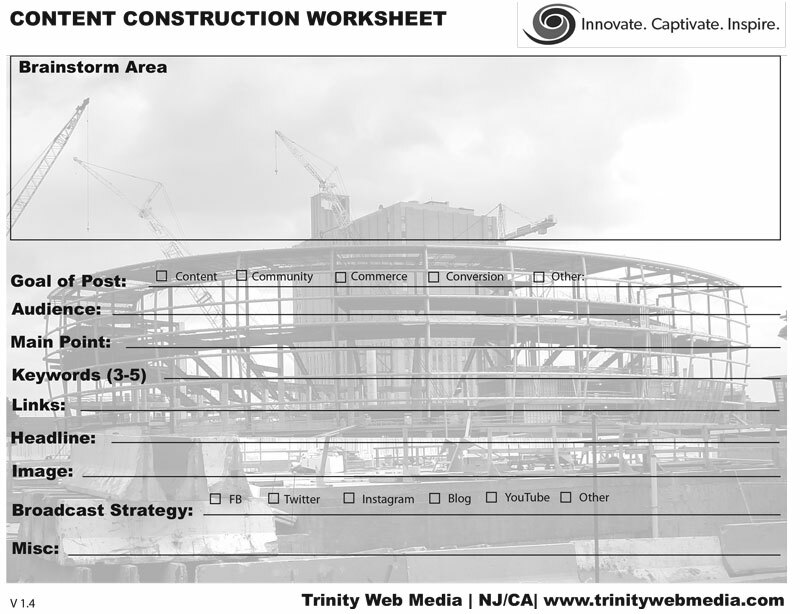 Our simple content construction worksheet helps me stay on point when it comes to creating valuable content. Whether it’s a blog post, image for social media or video for distribution it is important to know why you are creating content and how it should be shared. By using this tool you can organize your thoughts, focus on the goal of the content and determine how it should be shared to reach its intended audience. Also, this is a tool I leveraged from an old client Jay Baer of Convince and Convert.com when I was creating his site with my former company. Please feel free to edit, alter and make this worksheet your own to better your content process. 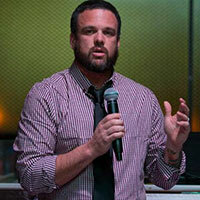 Greg Taylor is a veteran of the Digital Marketing & WordPress world. 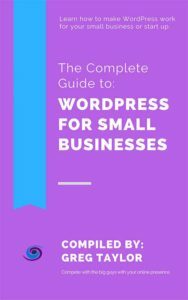 Currently, Taylor oversees the Content and WordPress Development teams at Trinity Web Media & Development. Originally from Warren, NJ, when not helping clients achieve their dreams, he can be found playing music with friends or enjoying the beach in Mission Beach San Diego, CA.